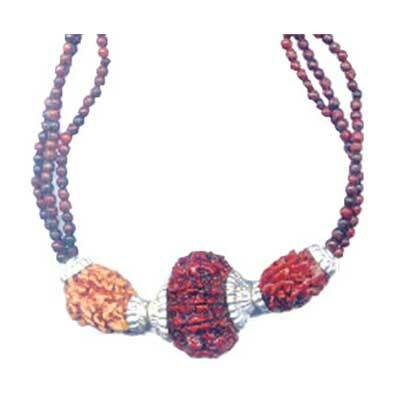 Introduction: This Rudraksh Kavach gives the wearer wealth, luxuries and grandeur in life. 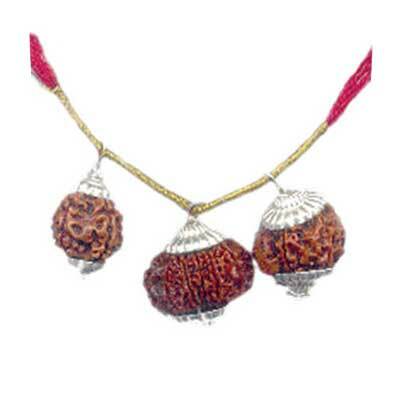 It is prepared by the combination of Two Faced, Three Faced and Eleven Faced Rudrakshas. 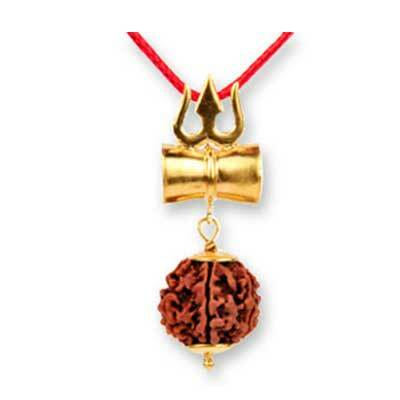 The Two Faced Rudraksha is a combined symbol of Lord Shiva and Shakti. It gives wealth and comforts. 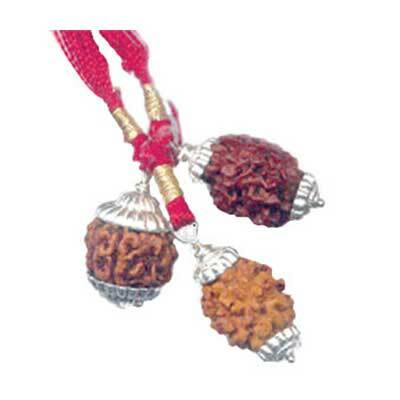 The Three Faced Rudraksha indicates Three Gods. It converts bad luck into prosperity. 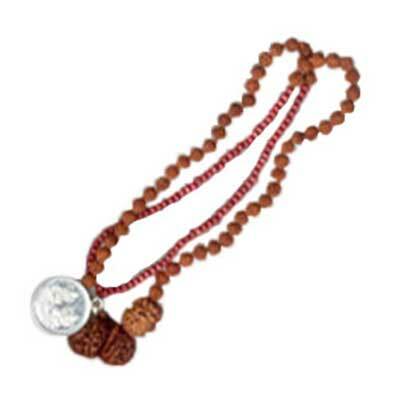 The Eleven Faced Rudraksha signifies Eleven Rudrs and renders a rich, opulent life.